Textron Aviation Inc. of Wichita, Kansas, has established Textron Aviation Canada Ltd., a new wholly-owned subsidiary focused on expanding the company’s service network. The first phase of the expansion includes the acquisition of assets of Aspect Aircraft Maintenance Inc., an aircraft maintenance and repair provider in Calgary, Alberta, where a Textron Aviation Mobile Service Unit currently operates. 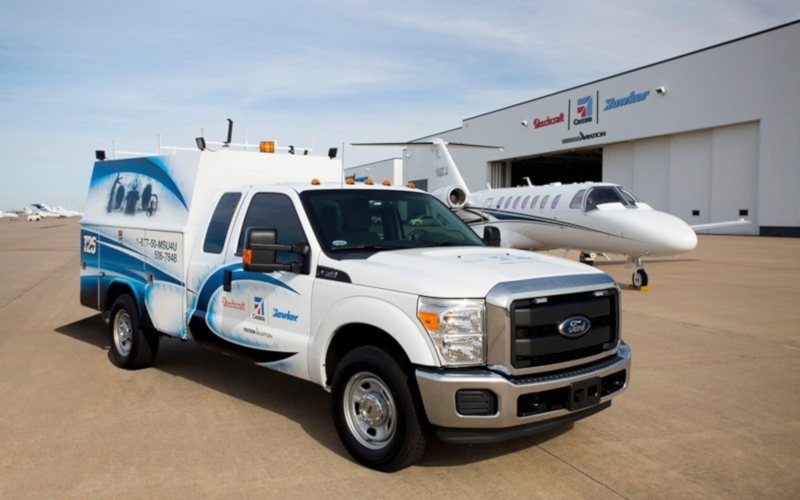 Textron Aviation Canada also includes a new Mobile Service Unit base in Toronto, Ontario. Earlier this year, Textron Aviation added four new MSU bases in North America and introduced a line maintenance station at London’s Biggin Hill Airport. The Calgary Mobile Service Unit (MSU) operates as part of Textron’s Approved Maintenance Organization (AMO) certification, approved to perform maintenance and repairs on Citation, King Air and Hawker aircraft. As part of the acquisition, Textron explains the MSU team based at Calgary International Airport will grow in the number of technicians and expand its capabilities to deliver AOG support and limited inspection items and engine maintenance.